We’ve had a huge demand for Informatics 132, and are working to expand the capacity, including adding new discussion sections. At present, registration requires an authorization code so that we can prioritize enrollment based on whether the course is required and graduation date. We expect to be able to accommodate all graduating seniors for whom the class is a requirement, and may be able to open up to additional students if there is capacity. All student who wish to take the class must attend the first meeting on April 4 at 9:30am in ICS 174. 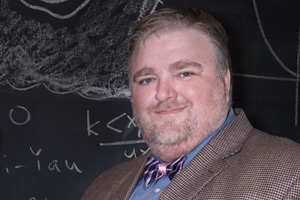 I am very excited to share that Kevin Patrick (UCSD/Calit2) and I will be leading the Health Data Exploration project’s new efforts to advance the use of of personal data for public health research. Our recent report, “Personal Data for the Public Good,” found that many people who track health-related data are interested in sharing that data with researchers in medical and public health — provided adequate privacy controls exist. We are building a Network to bring together companies that collect and store personal health data, researchers who mine these data, and other strategic partners. Through a set of research projects using personal health data, the Network will identify policies and best practices for using these new forms of data to produce transformative knowledge about health. More details are available on our project website: http://hdexplore.calit2.net or in our press release. 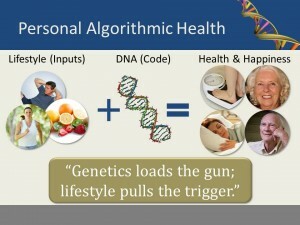 I recently presented on “Personal Genetic Code: Algorithmic Living, Genomics, and the Quantified Self” at the 4S (Society for Social Studies of Science) 2013 Annual Meeting in San Diego, CA. This was work done with Judith Gregory, Scout Calvert, and Geoffrey C. Bowker, in the EVOKE Lab at the UC Irvine Department of Informatics, with funding from the Intel Science and Technology Center for Social Computing. Abstract: Quantified Self (QS) is a community of individuals who combine personal technologies (wearable sensors, smart phones, etc.) and self-monitoring (of diet, exercise, mood states, etc.) to make sense of their health and well-being. A growth area in QS is the relatively new availability of personal genomic testing. For example, for less than $100 companies like 23andMe will provide a kit for customers to send in a DNA sample that is then analyzed for approximately 250 aspects of health from back pain to breast cancer. Similarly, metagenomic analysis (genomic testing of populations of microorganisms) is being offered as a way to understand the ecosystem of non-human organisms to which our bodies play host. There is a growing awareness within the QS community that personal information can be even more powerful when it is made social. Several QS citizen science projects have started to aggregate personal genomic and metagenomic data to, for example, “publish their test results, find others with similar genetic variations, learn more about their results, find the latest primary literature on their variations and help scientists to find new associations” (http://opensnp.org). In this presentation, we will report on an ongoing study of personal genomics in the QS movement. We will examine the algorithmic rhetoric that surrounds personal genomics, probe how this algorithmic rhetoric is understood and experienced by those who are participating in QS activities, and explore how these participants understand the potential social and scientific benefits and risks of sharing personal health data. Position paper deadline extended to 2 December 2011. Science and engineering are facing huge increases in data volumes and shifts toward more data-intensive work. The amount of data being produced is rapidly increasing with the development of new sensing and computer technologies, increasing use of computational simulation, and a move toward larger-scale and more interdisciplinary projects. Two workshops at CSCW will explore data-intensive collaboration from sociotechnical perspectives. PARTICIPATION: The workshops will be conducted independently on consecutive days. W2 is a bit more social and organizational, and W12 is a bit more technical. It is possible to attend either workshop by itself, but we are encouraging folks to go to both to encourage cross-pollination of ideas and approaches. Each workshop has its own instructions for position papers, but there is an option to submit a single paper to both workshops. Details are available at the workshop websites.